Every year parents just like me struggle to find Christmas Gifts for their children with Special Needs. Parents contacted me recently over on my Facebook page asking if I could recommend some really great gifts that will help their child but also will be fun for their children too. 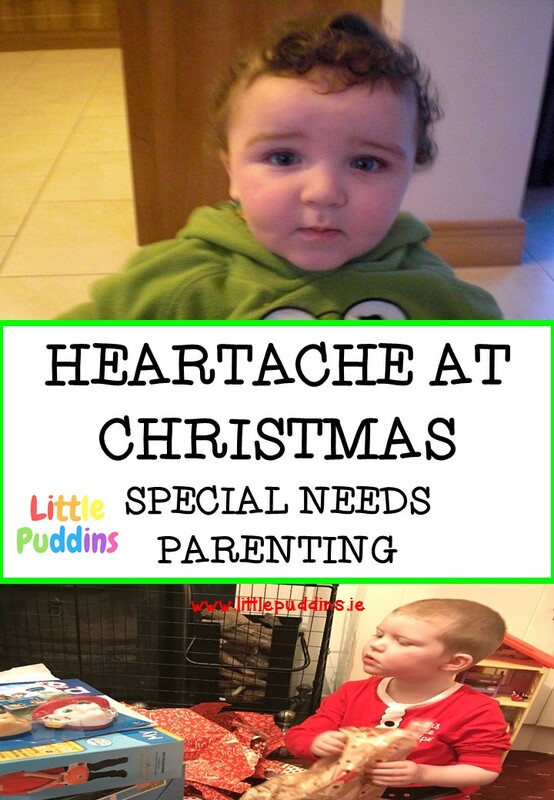 Like most Special Needs parents at this time of year I am at a loss to know what my children with special needs really want. Conor is non-verbal and Jack although speaking is not able to tell me what he really likes. I know what they struggle with daily but what they really want? I don’t know. I posed the question over on my Facebook page asking parents for help and they came up with some brilliant suggestions. I will include their suggestions here along with a few of my own. If you have any suggestions I would really like to hear them, as this time of year is always so hard when you just don’t know what to get your children. I do think it is important to say from the start that some of these games may seem like they are just “baby” toys or toys for “young” children. The reality is that children like mine who have Special Needs do not play with toys according to their “age”. They play with toys that make them happy. I think they have the right idea! Play is supposed to be fun, it shouldn’t matter that the box says age “x and up”, if it makes my children happy that is all I want. I will be running a series of Toys & Gifts blog posts which will cover different topics, including Gross Motor, Cognitive and Sensory. 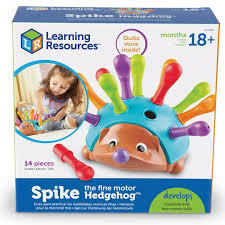 This post will focus on Fine Motor Toys & Gifts. For children who enjoy colouring and art but resist because they struggle with their fine motor skills this may be a gift for them. Sometimes open-ended colouring fun is too overwhelming for kids who struggle holding crayons/paint brushes, they may become overwhelmed at the thought of trying to get their hands to do what they want. 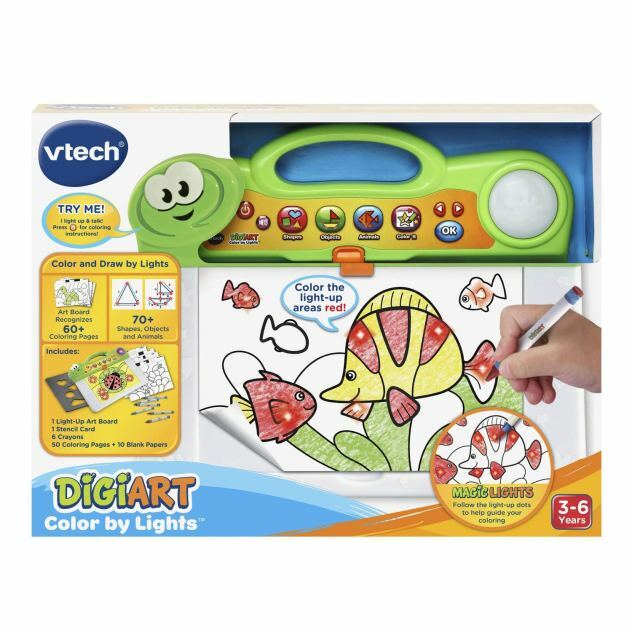 I really like this toy from Vtech, as my son Jack struggles so much with fine motor skills but loves Art this will be on his list from Santa this year. It is colouring fun guided by lights. There are 50 colouring pages included and more you can download, these together with the lights on the Vtech board show the child which colours to use. They can also connect the light up dots to draw shapes, animals and various objects. It is a really motivating game, giving positive feedback and melodies while they play. There is a stencil card and the board is dry erase if they decide to colour straight on to it. Santa brought this last year and it is one of the games that is used weekly here. Also on a side note if you have a child that struggles with hair cuts this may be a fun way to encourage play and talk about the idea of hair cutting. This game comes with scissors, electric shaver that makes a buzz sound, two Characters/Holders and 5 tubs of playdoh. This was recommended by a mum over on my Facebook page and I think they are brilliant. 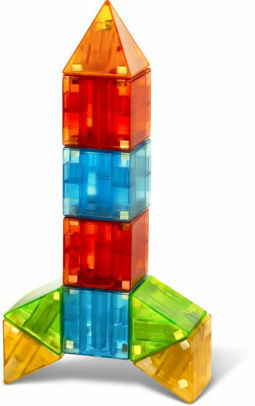 Magna Qubix comes from the people who created the super popular Magna Tiles. If you have children who love to be creative but who struggle to get their hands to work the way they want them to then this would make a super gift as they can grasp the pieces much easier. I really love the bright fun colours too! This is another toy that comes highly recommended from Special Needs Parents over on my Facebook Page. 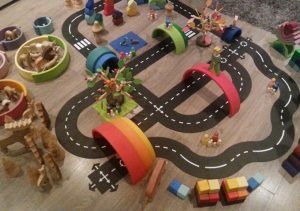 The affordable Waytoplay road is a great toy for imaginative play. Your children create their very own circuits and road maps for their favorite toys and vehicles. There are various sets and sizes you can purchase and it can be used indoors and outdoors. Jack is obsessed with outdoor vehicle play, so I will be ordering these for him, in particular in the Summer time he will get great use from this toy. The best part for me is that they are flexible, wipe clean and dishwasher safe! 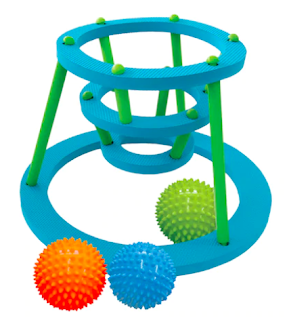 This is a super fun toy, and if you have children with Autism or Sensory Processing Disorder, they may just love toys that spin! (Mine do that is for sure). 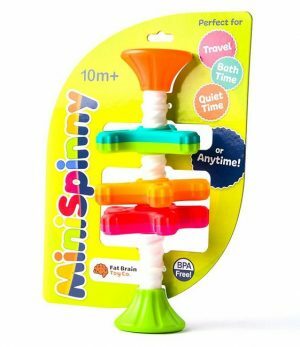 It is a toy you can pop in your bag and bring to appointments to keep them busy or just to help them relax at home. Three propellers spin up and down (when you flip it over) a corkscrew, spinning round and round as you continue to turn it over. The surfaces are both textured and smooth so are ideal for sensory seekers. This is a toy I first saw at a therapy session with Jack! He loved it and it really is great for encouraging those fine motor skills, hand eye co-ordination, colour discrimination, matching, sorting and sequencing. This is another game recommended by a fellow special needs mom. I think it is important to say that just because a toy is aimed at younger age group it doesn’t mean an older child with Special Needs would not find a particular game fun. I ordered this for Max (1) primarily but I know Conor (8) will love this game too. 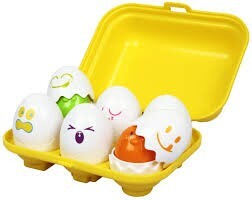 A great little toy with bright colourful eggs. Each egg lets out a squeak like a chick. They are educational in that they are shape sorters too and also colourful. A super fine motor game as your child will have to place them back in the right place, make sure the top and bottom part of the egg are together. You can point out the different facial expressions on the egg and discuss the colours too. For kids that struggle in the bath, and really don’t like it (for sensory or other reasons) this is a fun game that will distract them from the fear of the bath. It is a fun way to get fine motor play into your bath time routine. 36 stackable giant pegs in 6 bright colours, 3 shapes, with square base board and 3 laces. Ideal for developing fine motor skills, counting, sorting and patterns. This is a game we have used for years and I know both boys have used it in therapy in particular. 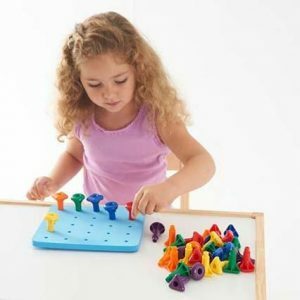 It is a fun game but it works on key fine motor skills, hand-eye coordination and, sequencing, sorting and matching. I cannot recommend this game enough. 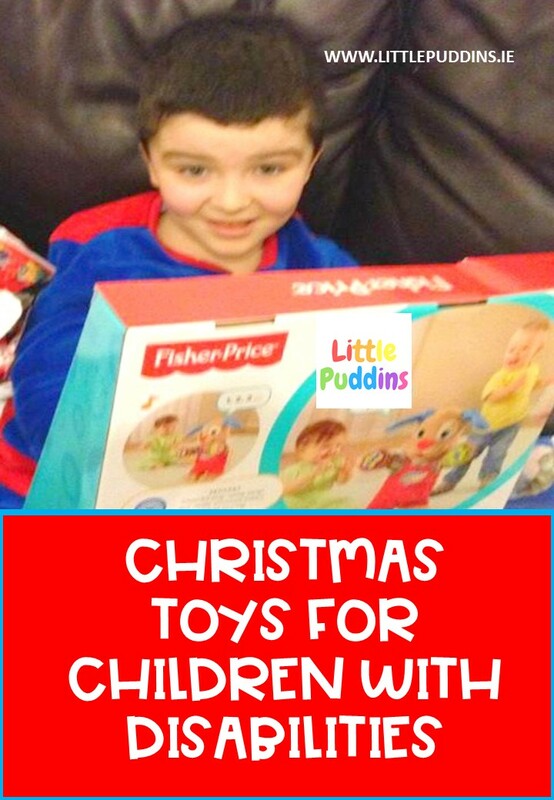 Another great toy recommended by a Special Needs mom over on my Facebook page. 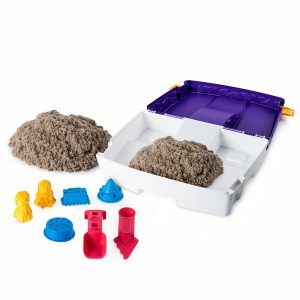 Mould and build endless creations with Kinetic Sand. It is squeezable and it’s mouldable sand that flows through your fingers, leaving them completely dry. 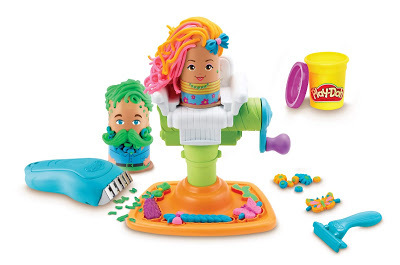 If your kids like messy play and you don’t like mess this may be a great toy that they can play with again and again. Smyths Toys carry a great range of Kinetic Sand products! 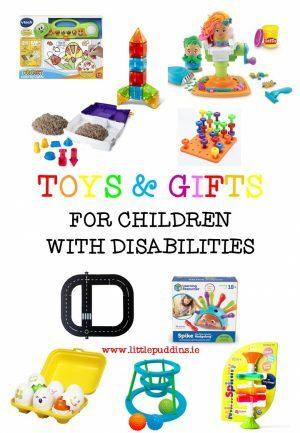 That ends my list of 10 Fine Motor Toys for Children with Disabilities as recommended by Special Needs parents in Ireland (including me!). 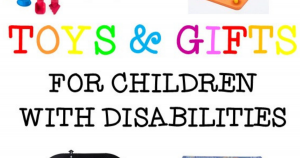 If you have any toy or gift recommendations I would really love to hear them so that I can create an additional list of great Fine Motor Special Needs Toys.